This site is truly unique offering large fabrication halls with numerous gantry cranes and floor rails already installed, alongside heavy load-out quays (6,000T Quay 10 and 4,000T Quay 8&9) and a heavy lift pad of 25T/m² (Quay 1). AMP was developed in the 1970’s and acquired in 2000. 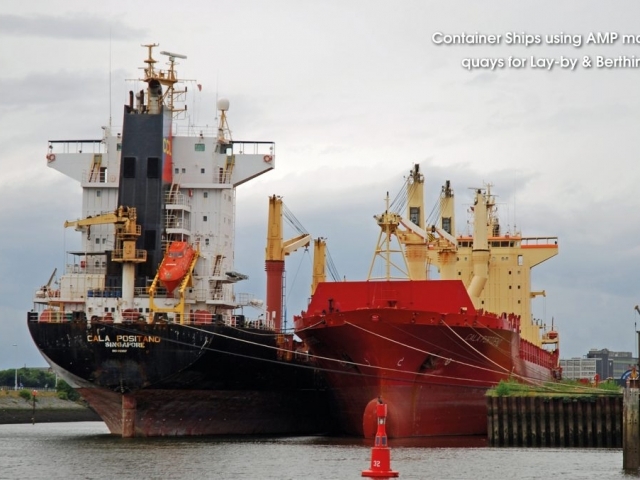 It is located on the River Tees in the centre of Middlesbrough with good sea access and deep water quays. The site encompasses 16 hectares (40 acres ) offering 9,900m² of workshop and assembly space. 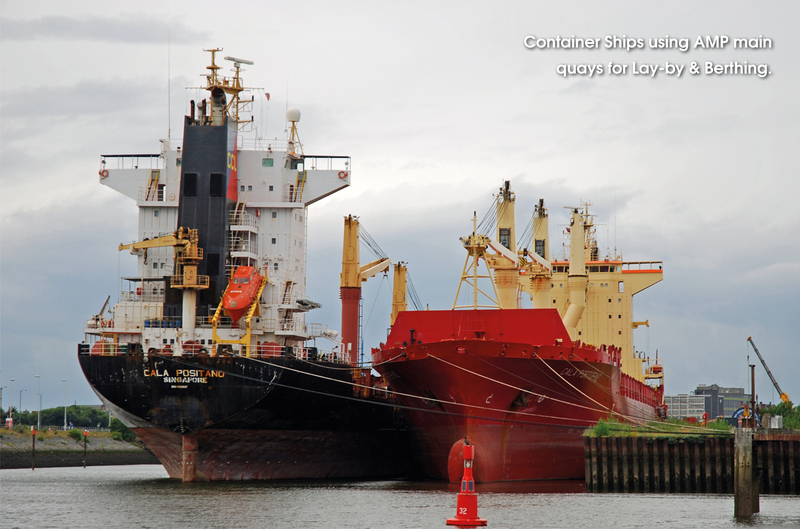 It has six strong and dependable quays (including a 220m quay) that have been used for a variety of routine heavy-lift projects in the past. 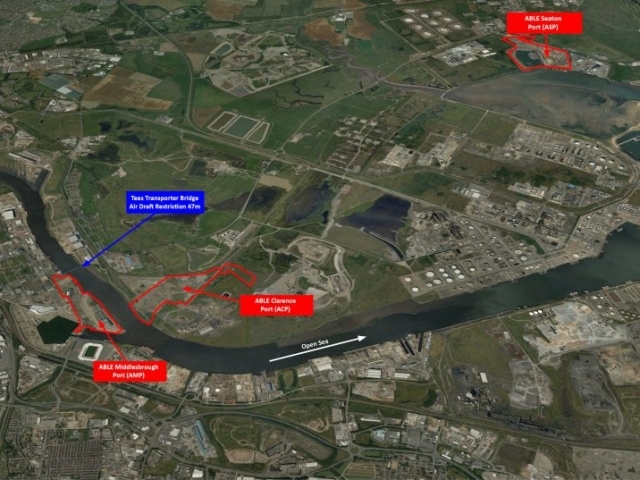 Existing quays have a 50T heavy-load out pad with potential to increase this further (up to 1,000m can be provided). 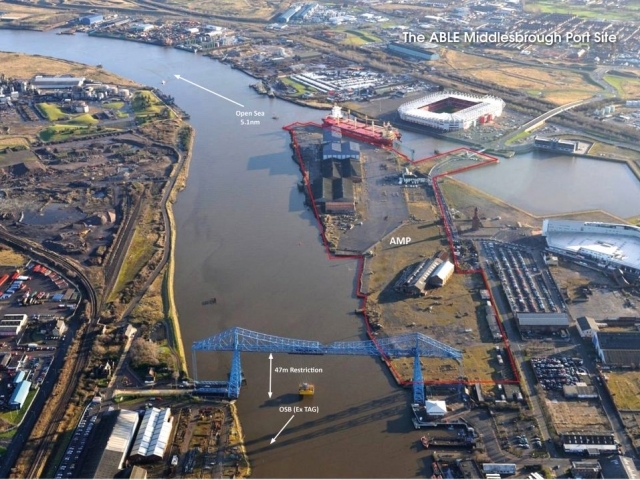 Middlesbrough Port is the former Davy Offshore / SLP / Odebrecht Dock Point facility and has been synonymous with offshore growth of Middlesbrough. 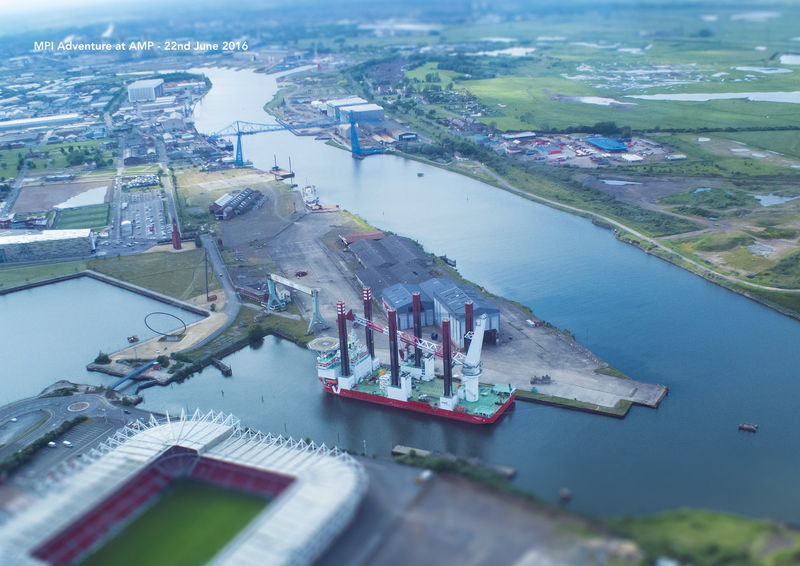 Sites of this nature with large craned fabrication halls, external storage and heavy lift quays are almost unique and combined with our flexible approach to operating our sites, offers an exciting opportunity, for potential users. 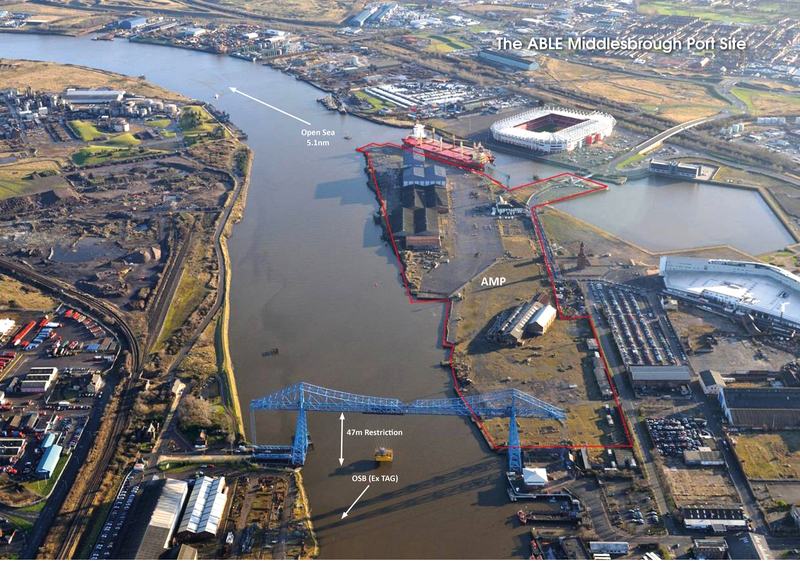 ABLE understands that certain clients may require their own specific facilities and has planning permission to develop new facilities at Middlesbrough Port. 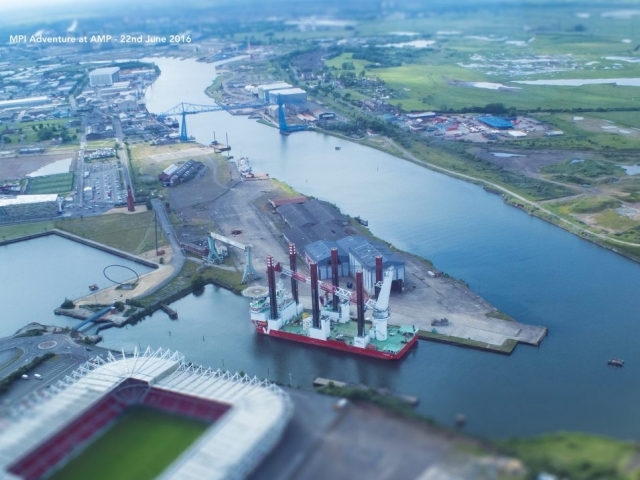 The site is available on flexible lease terms and qualifies for national and local financial assistance initiatives enjoying strong support from Teesside’s public sector agencies. 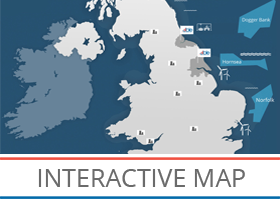 The site has good transport links with the A19 providing a direct link with the A1 to London and the Midlands and the A66 runs East to West from Middlesbrough to the M6. The A177 runs from Middlesbrough to Durham and the A171 runs South East to the North Yorkshire Coast. 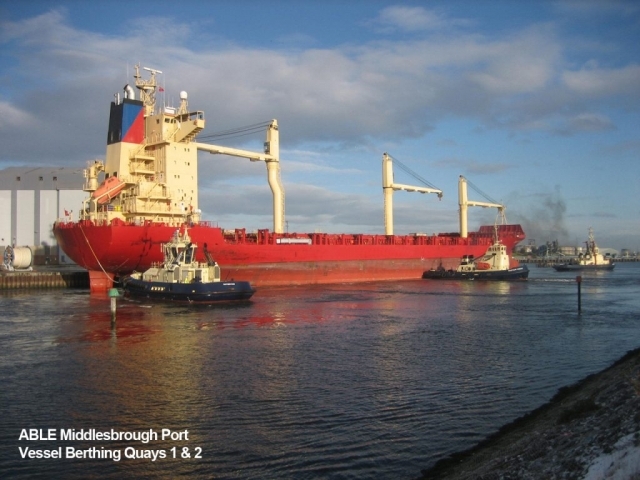 Middlesbrough Port is served by the main rail network offering a direct link to the mainline trains from Darlington. Middlesbrough’s Central Station is a short walk from the Port, affording access to a large workforce. 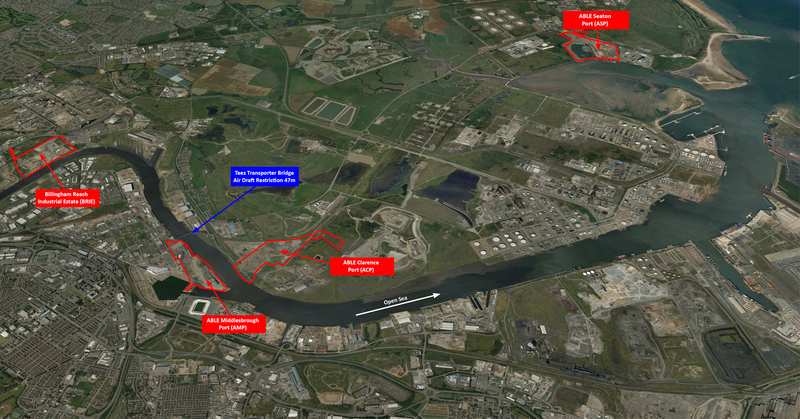 Durham Tees Valley Airport is only 16km away. All cranes in good working condition.